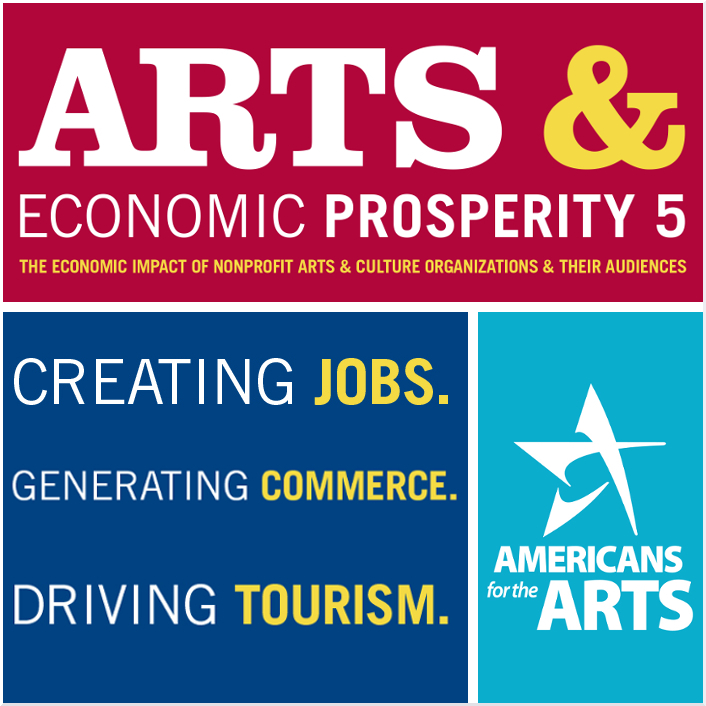 Tulsa took part in the Arts & Economic Prosperity 5 study that was release in June of 2017. Click below for the amazing results. In November 2015, during its member organization application process, AAT collected and compiled data from 39 Tulsa non-profit arts groups as part of our MISSION. This data was compiled and showed just these performing arts, visual arts, museums, venues and arts education organizations had a combined total of $40 million in annual budgets and serve more than 1 million people annually. This data was put through Americans for the Arts Economic Prosperity Calculator showing these same groups produce more than $62 million in revenue for the local economy, create more than 2,000 jobs, and produce more than $6 million annually in state and local tax income. A breakdown of the jobs data showed 1,989 contract artists, 229 staff artists, 136 part-time administrative employees and 304 full-time administrative employees were on the payrolls of the 39 organizations. A total of 7,123 arts and cultural events were held during the prior year made possible, in part, by 2,671 volunteers. An additional 743 family events were held within the Tulsa City Limits within that same period. $540,173.00 in scholarship funds were divided among 18,329 students participating in arts education programs outside of school systems. 156,723 students from 1092 schools in the region were provided free programs by the 39 arts organizations. Of the 1 million people attending performances, exhibits, events and education programs, 80% were from the Tulsa area, 13% from Oklahoma, 5% from other states, and 2% from outside the US. What will Vision funding do for the arts? *Statistics provided by Americans for the Arts. According to the U.S. Census, in 2011 the value of arts and cultural production in America was $504 billion, or nearly 3.2% of gross domestic product (GDP). For context, consider that the estimated value of U.S. travel and tourism in 2011 was only 2.8% of GDP. The arts attract tourism revenue. Cultural tourism is a huge market, comprising some 129.6 million cultural travelers, whose participation in cultural and/or heritage activities contributes more than $171 billion each year to the U.S. economy. A look at members statistics. -2% from outside the U.S.